As part of its corporate social responsibility project and efforts to foster better relations between Nigeria and China, the Chinese Consulate in Lagos has handed over two blocks of classrooms, amongst other items, to St Patrick’s Nursery and Primary School, Idumagbo in Lagos. At the ceremony, the Chinese Consul General in Lagos, Chao Xiaoliang, said the project was centered on improving teaching and learning in the school. 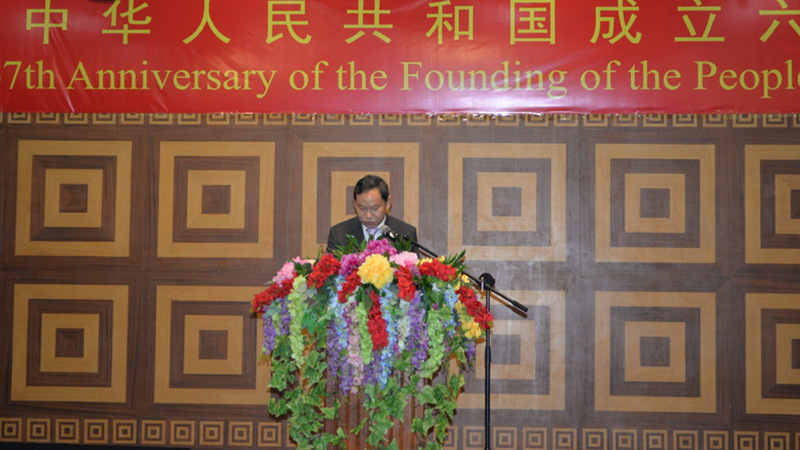 He noted that in 2012, the Chinese Government raised a new suggestion to carry out a programme called ‘China-Africa People-to-People Friendship Action’ in the fifth ministerial conference of the Forum on China-Africa Cooperation, which is aimed at encouraging and supporting exchanges and cooperation between non-governmental organisations, women and young people of the two sides. In a bid to implement the programme in other consular district, Xiaoliang urged Chinese companies in Nigeria to make donations to local community and schools in Lagos. The event was attended by the Lagos Island Government Education Authority Secretary, Moshood Mayegun; Chairman, Lagos Island West Government, Adetoyese Tijani, Executive Chairman, Lagos State Universal Basic Education Board, Dr. Oluremi Shopeyin, amongst others.